This photo was shot by LMAC photography at the wedding of Jenny and Adam. Their wedding reception was held at the absolutely amazing Windows on the River, a popular venue in Cleveland, Ohio. Their wedding ceremony was conducted at Bay United Methodist Church in Bay Village, a suburb of Cleveland, Ohio. There was another amazing photo location in the itinerary, which is one of our absolute favorites at LMAC, the Cleveland Historical Center. 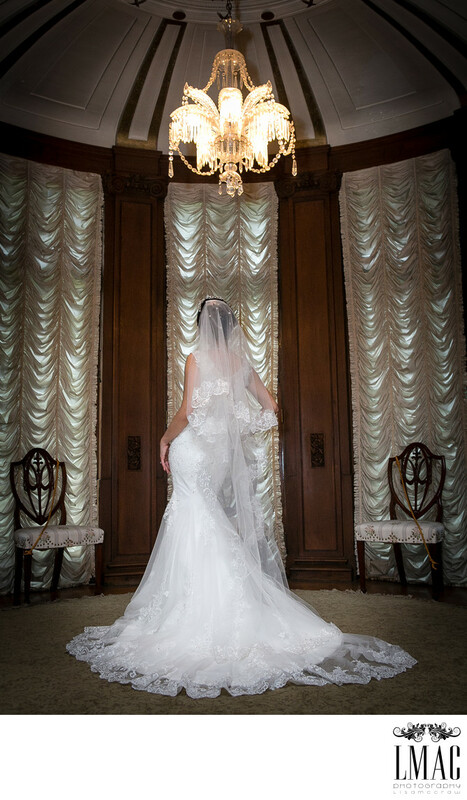 The Cleveland Historical Center is one of our absolute favorite locations and we refer it a lot to our brides and grooms. There are so many spectacular elements both indoors and out. They also conduct wedding ceremonies outdoor in the gorgeous Hanna Garden. This window is worth the price of admission along with a to die for carousel. This location contributes to breathtaking wedding photos. Location: 10825 East Blvd, Cleveland, OH 44106.